Smape has the largest Coiled Tubing fleet in Southern Europe and is one of the service leaders in the Coiled Tubing market. We are constantly driving CT technology to become one of the fastest growing segments in the oilfield services sector. This growth is supported by continuous advances in technology and utilization of CT to perform an ever-increasing list of field operations. The potential advantages associated with CT are driven by the fact that a traditional workover rig (and associated cost) is not required. 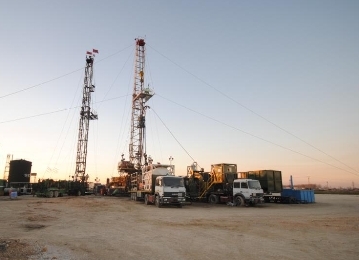 The high CT trip speed in and out of the well and the ability to operate independently on a “live”, pressurized well often eliminates the requirement to kill the well. This can be a significant factor in the decision to utilize CT for a particular well intervention operation as it can reduce the risk of formation damage from the kill-fluid. High RIH & POOH speeds. Ability to work through existing completions on live wells. 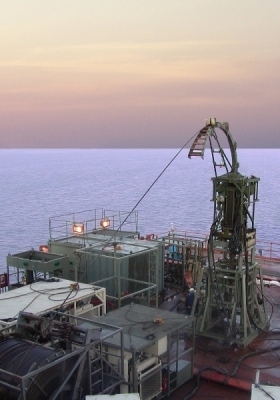 Perform well treatments with no requirement for a rig to be on site. Safe and efficient live well intervention. Ability to circulate fluids while RIH/POOH. Can be used in horizontal and extended reach applications. Smape has a comprehensive Coiled Tubing service division with units suitable for both Onshore and Offshore applications and for ATEX and DNV classified zone operations, reduced noise and exhaust emission controlled environments. Smape Coiled Tubing units are capable of running a complete range of Coiled Tubing sizes from 1.0" up to 3 ½”. Smape Coiled Tubing service covers a wide range of modern day applications to meet with the continuously more complex technical demands arising from new technologies and different markets. Our dedicated engineering teams are involved from the initial preparation of the job design, planning and simulation. Our field personnel in conjunction with either onshore or offshore equipment are then able to execute the CT intervention and provide a quality assured service. Technical feeback is then provided through engineering analysis and Post Job reporting to provide a continual improvement process. Smape has been providing Coiled Tubing Services for over 20 years in the domestic Italian market, continental Europe, North Africa and Caspian areas. Smape currently employs a significant number of some of the most experienced and competent specialists present in the Coiled Tubing business today.